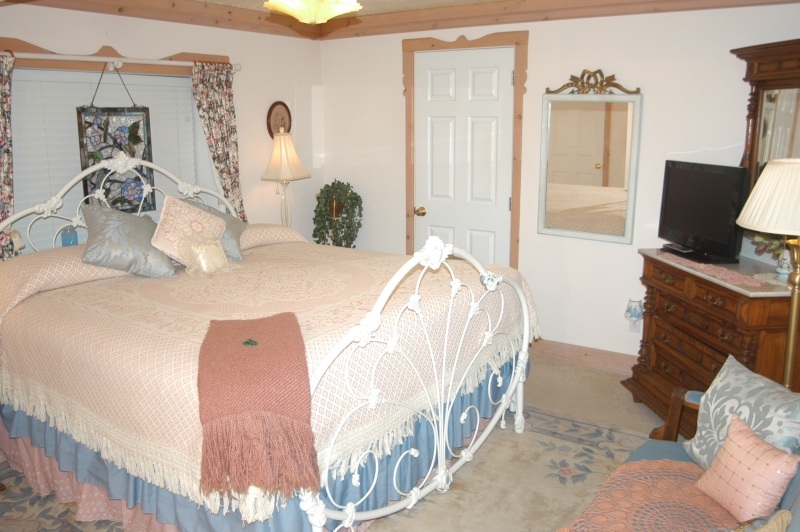 The Lodge Room has pine crown moldings and a western theme to give the room a rustic country feel. Open the window and listen to the water flowing in the fish pond. The Country Walk-Out Level is on the lower floor with no steps to the back yard and parking lot. This level has five total rooms with a large common sitting area, stone fireplace and a kitchenette. 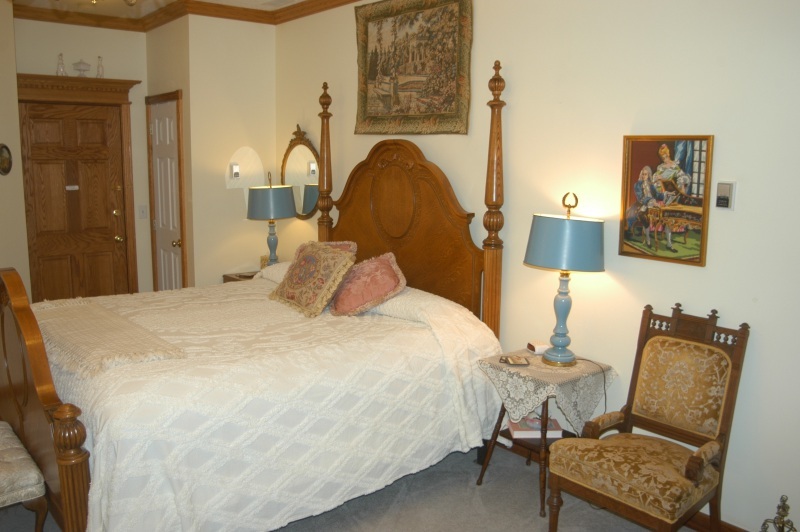 The Hunter Room features a queen and single antique beds. With sage green walls, the room has a cozy feeling of being in the past. This room is connected to a large common sitting area that has a stone fireplace and a kitchenette. Easy access to parking area. Can connect with the Blue Haven and Stitch-in-Time rooms for a three room suite. 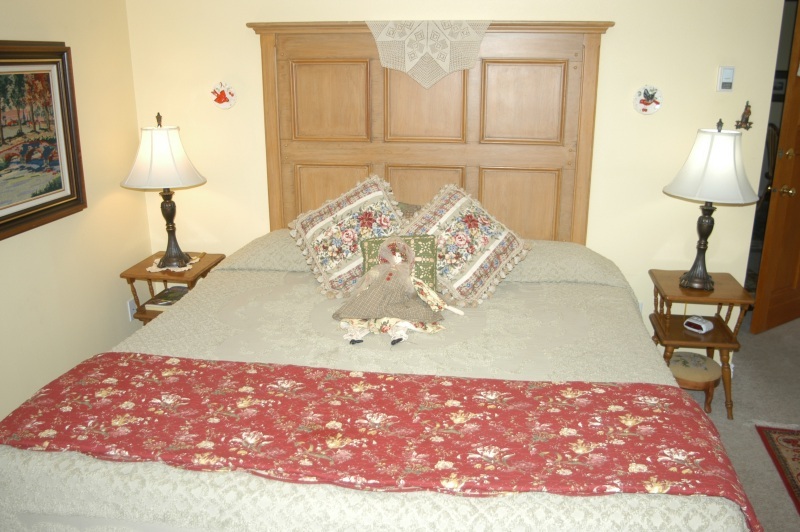 The Stitch-in-Time Room has a king white metal bed and is filled with quilts, needlepoint and cross-stitch items to give this room an English Country feel. 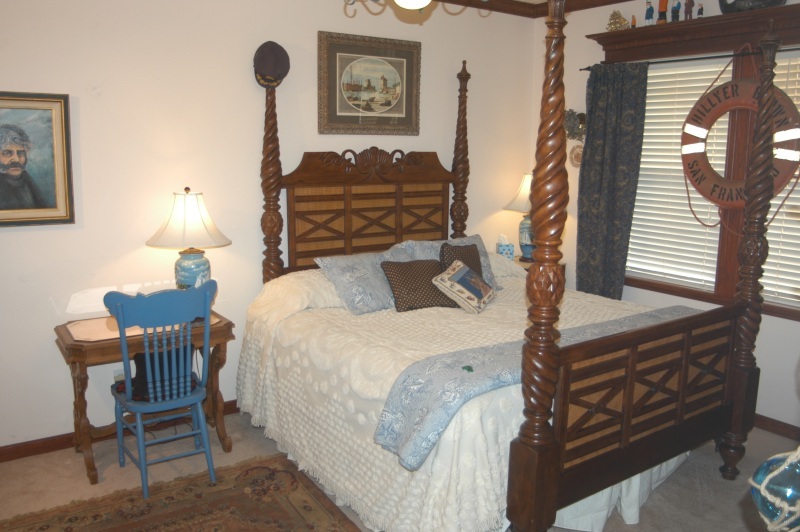 The Blue Haven Room has an antique, burled-walnut king bedroom collection. Blue/grays fill this delightful room. Handicapped accessible. 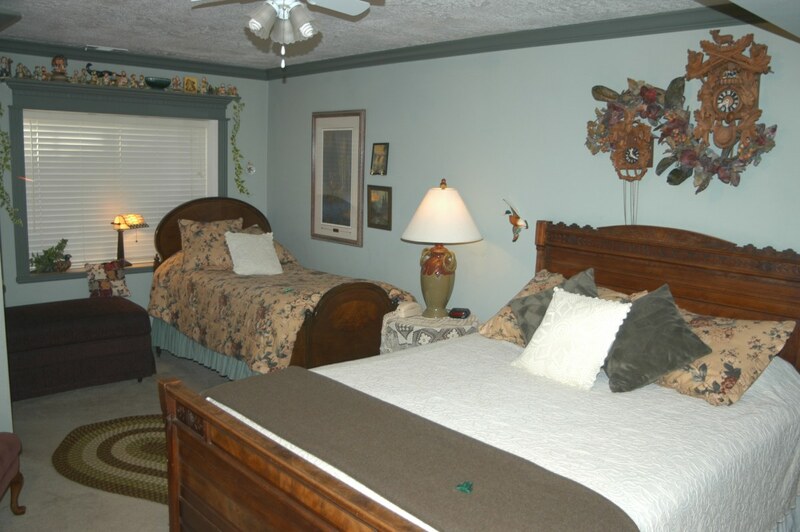 The Cottage Room features a charming king country pine bed and comfortable chairs. Yellow walls splash warmth around the forest-green and maroon decorated room. 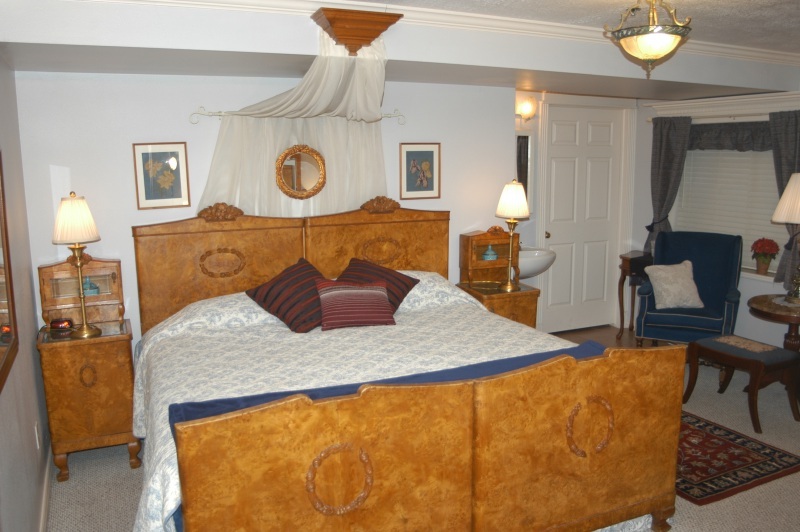 The Safari Room features a single Jacuzzi tub, and beautiful large antique armoire. A touch of the African Safari dress the room, for an untamed, wild feel. Great views out of both windows. The second story level has five guest rooms and a common sitting area. There is also a guest kitchen on this level. 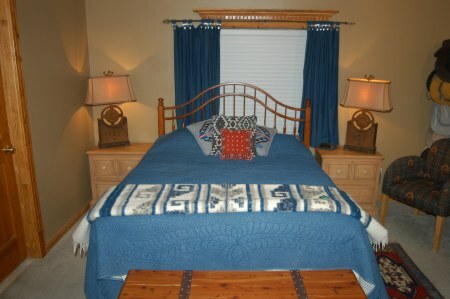 The Bon Voyage Room is decorated with a nautical theme. Great four poster king bed. Navy blue accents and peach walls give this room an airy, cheerful feel. Beautiful views out of the large double windows. 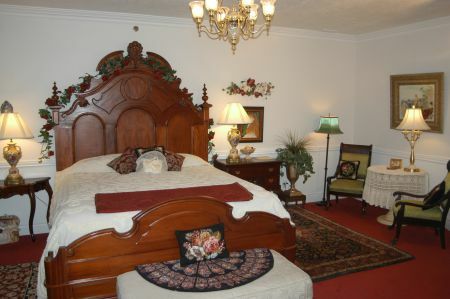 The Mediterranean Room features a fireplace and king mahogany bed. Hues of blues accompany this exquisite room. The very large balcony allows you to relax on the double swing or play cards on the outside table while viewing the surrounding mountains. The English Room features an antique claw-foot tub (with separate shower), marble pedestal sink, golden-oak bed and armoire, and a charming antique fireplace. Yellow and blue shades fill this delightful room. Large Balcony includes table, chairs and double swing. 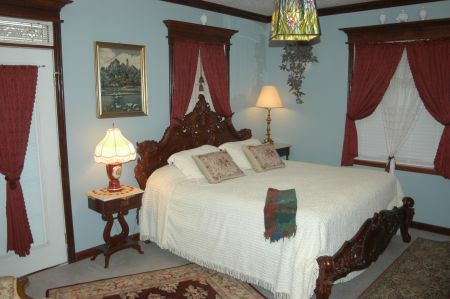 The Victorian Room features an impressive lavish mahogany king bed, ornate furniture, fireplace, and in room red claw-foot tub (with separate shower in the bathroom). There is also a private balcony. The Gable Suite takes the entire top level and has 900 square feet including a large sitting room and bedroom. Includes a fireplace, dormers and double Jacuzzi surrounded with marble (11:00 p.m. cut off on Jacuzzi). 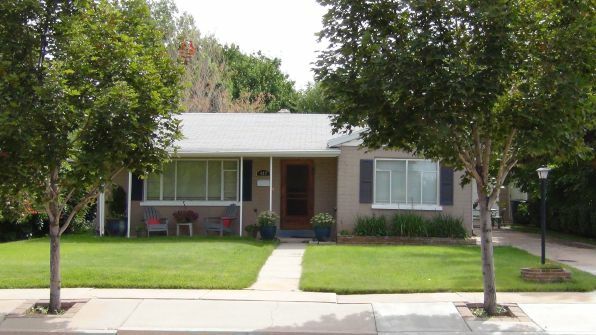 A telescope is provided for the exquisite views of Cedar City and surrounding mountains. The 900 sguare foot Gable Suite is the only room on the third level. 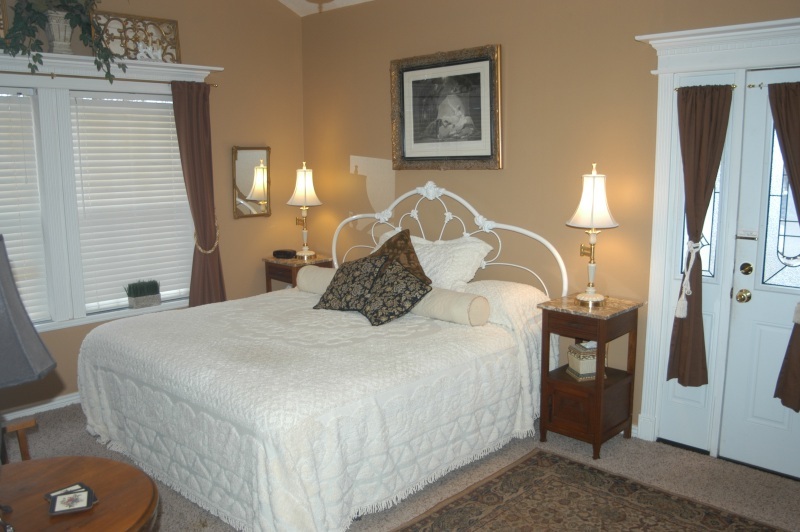 The Master Suite has a private entrance off of the main deck. One room has a king bed and a separate room has a pillow top queen murphy bed. A double sink bathroom and a separate sink, refrigerator and microwave are in the unit. 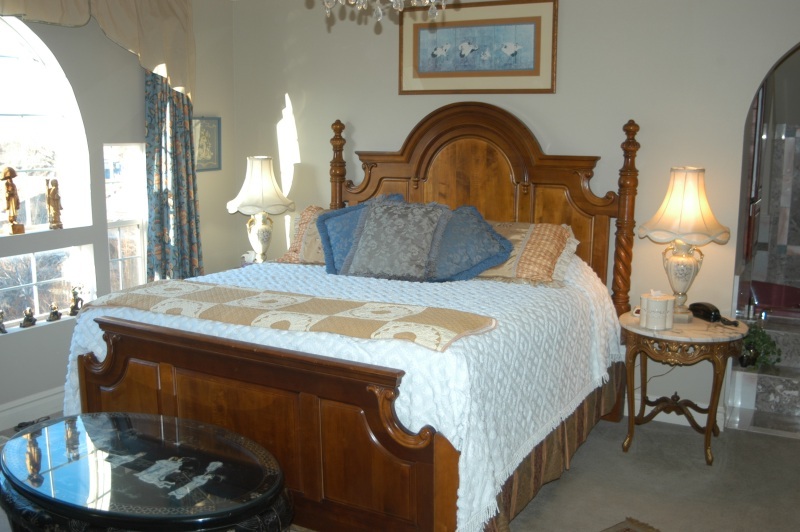 The Master Suite is the only room at the Inn that has it's own private entrance and deck on the main level. 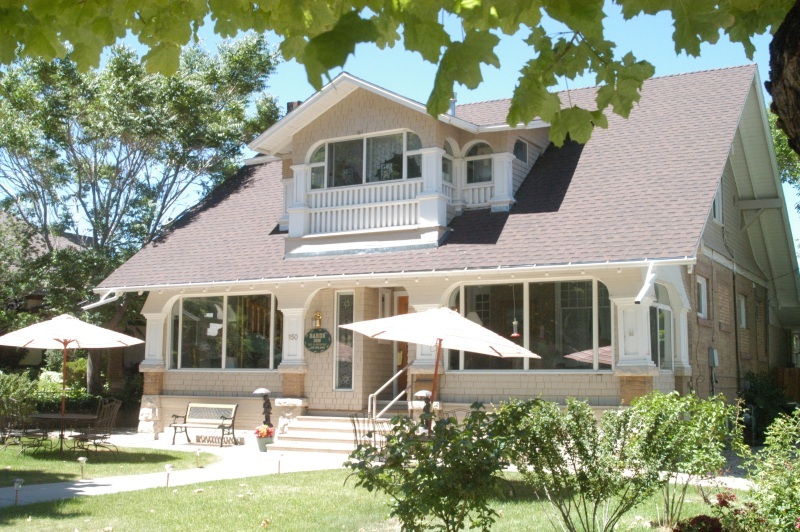 Eight Additional Rooms In An Historic Cedar City Inn. 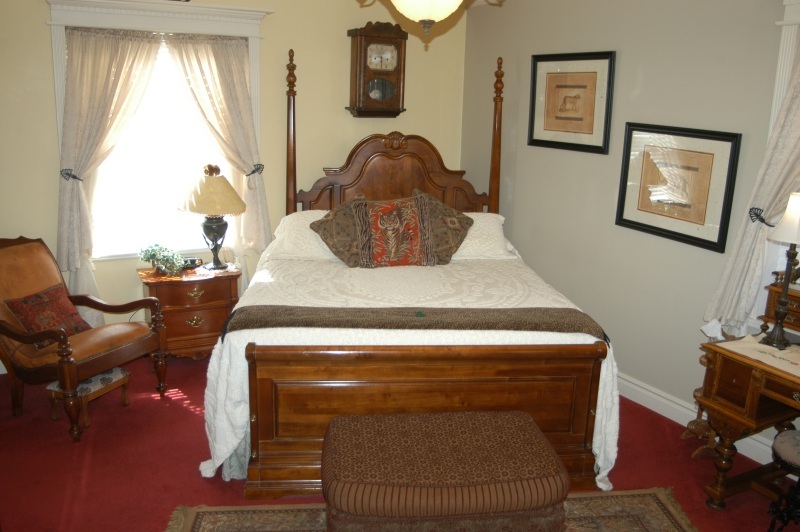 Bard’s Inn is an eight room Bed & Breakfast that is also within walking distance to the Shakespeare Festival. A full breakfast is served there as well as at the Big Yellow Inn. The Bard's Inn is directly north of the Garden House Restaurant. This private house will accommodate up to 5 people. The kitchen is for your use but no food is provided. Four blocks from the Shakespeare Festival. Minimum two night stay required (call for exceptions). There is a nice backyard to relax in.